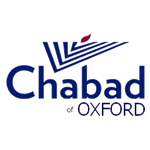 The Oxford Chabad Society Joseph Graham Memorial Lecture was given by former Chief Rabbi of Israel, Rabbi Israel Meir Lau, youngest survivor of Buchenwald, at St Annes college, on 7 May, 2006. To see pictures (slideshow recommended) of the event click here. Pictures taken by Frederic Aranda. “Good Evening Rabbi Brackman, members of the dais, leaders of the Jewish community, the Shear family, ladies and gentlemen. I was privileged once to meet David Ben Gurion, the architect of the State of Israel. On April 13, 1972, I received a telephone call from Ben Gurion. At the time, he was living in Sde Boker, the desert kibbutz. He was a great admirer of the Tanach, and he called to ask some questions regarding two passages in the Torah which he did not understand. He asked if we could meet up to discuss these issues at Sde Boker, as rheumatism had made it difficult for Ben Gurion to walk. I considered this a great honour indeed. When we met up, we discussed his questions for several hours, but I had one question of my own. “David”, I asked, “For years I have been telling a story that I had heard about you during the Period of the British Mandate of Palestine. I would like to confirm if this story is true or not”. “What is the story in question?” asked Ben Gurion. I proceeded to tell him what I had heard. It happened in 1937, at the time that the Peel Commission was presiding over the British mandate of Palestine, as Israel was then known, trying to decide what to do about the Arab-Jewish conflict. The Peel Committee was the only committee to suggest cancelling the British mandate, the same decision that the UN came to in 1947. At the time of the Peel Commission, Ben Gurion was the head of the Jewish Agency, and was the last witness to appear before the Peel Committee to appeal in favour of a Jewish state. Ben Gurion spent over three hours explaining the linkage between the Jews and the Land of Israel, stating, “This is our home”. Everybody was impressed by Ben Gurion’s testimony. Everyone, that is, except for Lord Peel. By the way, “Peel” means “Elephant” in Hebrew. “Mr Ben Gurion, may I ask you a question?” said Lord Peel. “Of course you can, that is why I am here”, replied Ben Gurion. Ben Gurion smiled and said “Emet Veyatziv”, it is true and it is certain. David Ben Gurion was a very smart man. So smart, in fact, that he refused to answer the question. It is interesting to hear the Independence speech given by David Ben Gurion on 14th May 1948. In the speech, he uses the word “Jewish” as an adjective no fewer than twenty times. Jewish state, Jewish immigration, Jewish education. However, the word “democracy” was never mentioned once in the speech. Why is this so? The answer is because the very word “Jewish” encompasses all aspects of democracy and more. Democracy, non discrimination and social and family values are implicit in the very word “Jewish”. Everything following the declaration of independence happened very quickly. A war broke out very shortly after the speech was made, and before anybody was prepared, the Egyptian Air force bombed an area ten minutes from where the declaration of independence was made, and there were 42 casualties. The resulting war lasted for one and a half years. Immigrants who had just survived the camps were called up straight away to fight, and after the war was won there was a huge wave of immigration from the Arabic countries of Yemen, Iraq, Iran, Syria, Lebanon and many more. The population of Israel shot up from six hundred thousand to over three million. Today, that figure is closer to seven million. However, during all of this time, not a single person, in the Kenesset or otherwise, stopped to think about a very important question. What character was a Jewish State supposed to establish? How did the state express itself with regard to Shabbat and other important Jewish aspects of life? This question first struck Ben Gurion, now prime minister, shortly after the establishment of the state. On the radio, he told the following story. He visited an army camp during mealtime, and whilst everybody on the camp was busy sitting at tables eating food and engaging in conversation, Ben Gurion noticed a single man standing up with no plates or cutlery, holding a loaf of bread in one hand and a tomato in the other. Ben Gurion approached the man and asked what was wrong. The man replied “The food on this base is not kosher. The meat, of course, is kosher, but the utensils in which everything is cooked are treif. They mix the milk and the meat together in the kitchen. They put everything in the same cooking pot. Therefore I can only eat food that has not been in these pots”. This is the character that the state must possess. We have to ask ourselves, before the establishment of the state, what made us a nation? People had different passports, spoke different languages- hardly anybody spoke Hebrew- so what held the Jews in the land together as one people? The answer, I hope, is obvious. Chuppah, Brit Milah, Yom Kippur, Pesach… It is all of our laws, traditions and customs. Without all of these, we would not be a nation. 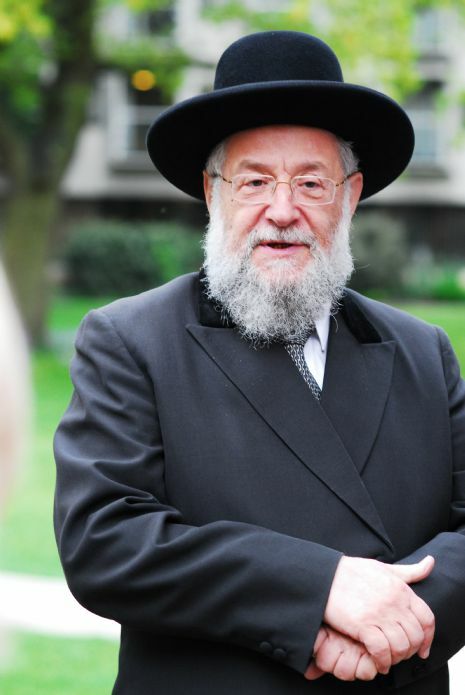 There was once a conference held with Professor Toynbee, of Oxford, and Rabbi Chaim Herzhog, the first Chief Rabbi of Israel. At the conference, Professor Toynbee was arguing that Israel was not a state, but a Jewish sect of people with no real linkage in past statehood, an amalgam of religious people who did not deserve the name of a state. Chaim Herzhog responded to these challenges with a witty allegorical story. “Imagine that you are on the runway of a Greek airport, waiting to meet the man that comes off the plane. Out of the plane steps an old man, Socrates. Socrates starts speaking ancient Greek, but nobody understands him because the language of modern Greece is very different. Then Socrates asks to see the Temple of Zeus, but it is no longer there because the country is Christian. Only archaeology can link this small NATO country to the empire it once was. The same goes for Italy. Imagine Julius Caesar stepping off a plane in Rome. No temple of Jupiter, but the Pope is now supreme. Nobody speaks ancient Latin anymore, and this Rome bears no resemblance to the Rome of Caesar. “No problem” says the attendant, “I have my Tefillin in the car.” Moshe is astounded. Of course Israel has problems. Only a graveyard is silent. But how to overcome these problems is a problem only solved if we have no hatred for one another. And only a Jewish state can teach us these values in order to overcome the hatred.